Idaho highways and roads can be dangerous for anyone, but no one is as vulnerable in the event of a crash as your small child. You may have spent hours researching the best possible car seat for your child when you first brought them home from the hospital. It’s equally important to make the right choice about when to upgrade your child’s car safety seat to something more appropriate for their age and size. 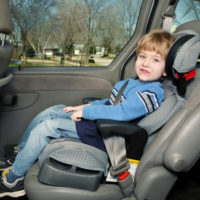 If your child is one year old or older, it is necessary to put them in a rear facing convertible car seat. Read below to learn more about when to change out your child’s seat.